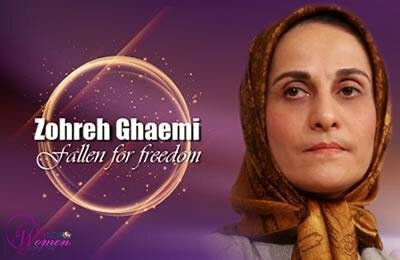 I want to take a moment to make a special remembrance to Zohreh Ghaemi, the Deputy Secretary General of the Mojahedin. She was the leader of Camp Ashraf on the day of the massacre. Zohreh Ghaemi was known for her strength and self control, and for her tolerance and judgment. She had personal knowledge of the brutality of the Iranian regime. She was imprisoned for five years in Iran for her political activities in the 1980s. In a previous assault on Camp Ashraf by Iraqi forces in 2009, she was shot in the leg. In this more recent attack, she was murdered. Zohreh Ghaemi was one of the women of the Resistance that was determined to end the oppression of women in Iran. To accomplish that goal, she empowered herself to become a leader. To describe process of liberating oneself and the risks entailed when confronting misogyny and religious fascism, I’ll quote from Maryam Rajavi’s speech for International Women’s Day, 2001. We are here today to remember that the price is often very high. freedom-loving Iranians are gone, killed by the rule of the Supreme Religious Leader. But you can’t kill the dream of freedom. The vision for a free Iran lives on. These 52 men and women showed the world, and in particular, the millions of young people in Iran that it is possible to live a life with dignity, freedom and courage. replacements have been born. The vision will live on until it is achieved. 1-The Price of Freedom, Maryam Rajavi, On the occasion of International Women’s Day, 2001.